Pictures as promised! I figured out how to take photos of myself with my camera. It involves carefully balancing my tripod on my bed, focusing on some object then pressing the timer button, a frantic scramble to get to the same distance away from the camera as the object I focused on, then hoping for the best... Luckily a few photos turned out quite well. You have some really amazing looks there. 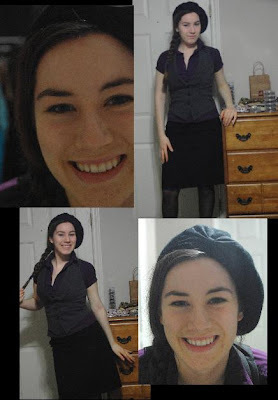 Got that beret, blouse/vest and skirt combo nailed down. oooh, SO CUTE! I LOVE both looks! You're cute. 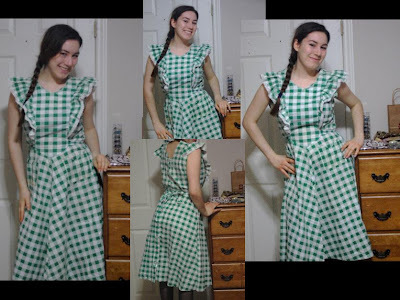 Love the dress.